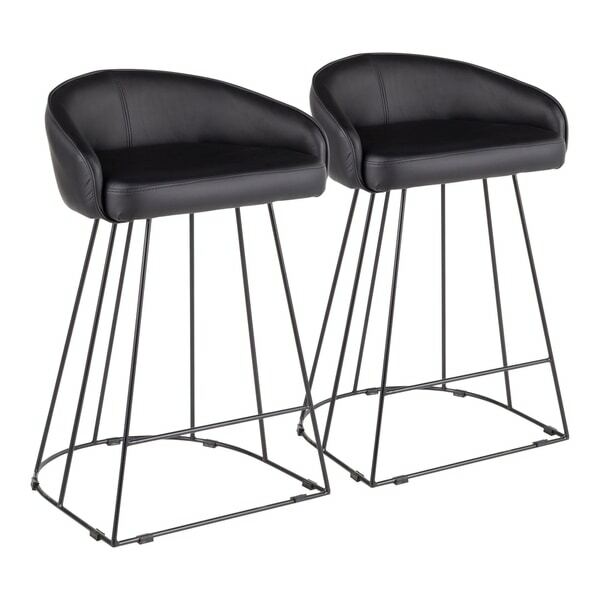 Opulent and confidently contemporary - that's the Canary Counter Stool by LumiSource. Features a captivating cage-like black metal base with footrest, subtle curved backrest, and an elegant upholstered seat available in various modern colors. Definitely a bold touch of fancy for your seating needs. Dimensions 20.25 In. X 20.25 In. X 31.25 In.